This performance is a part of the U-M Community Outreach Performance Series of the School of Music, Theatre & Dance (SMTD). The Blue Flute Choir is an ensemble comprised of flute students led by U-M Professor Amy Porter. Porter graduated from the Juilliard School with further studies at the Mozarteum Academy in Salzburg, Austria. Winner of the 3rd Kobe International Flute Competition, the Paris Ville d’Avray Competition, as well as the U-M Henry Russel Award for distinguished scholarship and teaching ability, Amy Porter performs as a soloist and serves on international juries around the globe. Look for live stream video on Gifts of Art Facebook. The U-M Department of Dance First-Year Touring Company (FYTC) has a 30-year tradition of performing in the Ann Arbor community. Directed by Associate Professor Robin Wilson, the FYTC is a central part of the curriculum of all first-year dance majors. This 2019 season opening performance features the premiere of a new work by New York City-based Summation Dance Company choreographers Sumi Clements and Taryn Vander Hoop; Rainbow Etude based on Donald McKayle’s 1959 masterwork Rainbow Round My Shoulder; and works by student choreographers Sherry Lin, Sally Butin and Shea Carponter-Broderick. Look for live stream video on Gifts of Art Facebook. San and Emily Slomovits, with special guest Brian Brill, will sing and play songs from classic Broadway musicals, such as Oklahoma, The Sound of Music, Fiddler on the Roof, Follies and more. San Slomovits is one half of the nationally known folk duo, Gemini. His daughter, Emily Slomovits, has studied classical violin for over ten years and graduated from EMU in Musical Theatre and German Language & Literature. Brian Brill is an Emmy award winning composer, arranger and pianist from Chelsea. Look for live stream video on Gifts of Art Facebook. 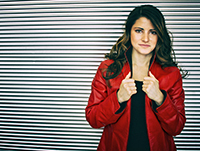 Camila Ballario is an Argentine-born American singer. She grew up in Ann Arbor, Michigan and received her bachelor’s degree in classical vocal performance from the University of Michigan. Having performed in a wide range of musical styles in addition to classical, Ballario has developed a wonderful sound of her own. Her pure and soulful voice has been compared to such artists such as Patty Griffin, Bonnie Raitt, Brandi Carlile and Norah Jones. Look for live stream video on Gifts of Art Facebook. Ballet Chelsea is a non-profit performing arts organization dedicated to building strong individuals through high caliber training and performance excellence. They give back to the audiences that support them through arts education and community outreach. Ballet Chelsea will present excerpts from an original full length ballet based on the Brothers Grimm fairy tale, “The Twelve Dancing Princesses”. The work is choreographed by Wendi DuBois, with costumes by Mary Waldron, set to the music of Mozart. Look for live stream video on Gifts of Art Facebook. Have you heard others break off from a main melody with an enchanting descant and wished to try it yourself? This fun workshop will give you the tools to be that singer who helps to weave stronger connections through musical harmony. 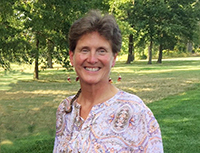 Workshop presenter and facilitator Shelley Graff is a singer, songwriter, guitarist, healer and educator. She teaches short, repetitive songs and chants from a wide variety of traditions. While singing in a circle, participants often experience a sense of empowerment and peace as well as group connection. Regardless of singing experience, participants are invited to share their voices in a noncompetitive, relaxed and safe space as part of Grief Awareness Month. Mike List is a globalized percussionist based out of Metro Detroit having studied classical percussion as well as Indian tabla, Arabic percussion, and other traditions. On bass and synthesizer, Dave Sharp is a musician, composer and bandleader who studied music and education at the University of Michigan and has performed in jazz and world music settings across the nation. The two make up half of the Dave Sharp Worlds Quartet which explores music traditions from Turkey, Egypt, Ukraine, India, Bulgaria and Greece. Together they will draw on classical Indian tabla compositions, Arabic rhythms, ambient electronic and jazz styles to blend these different worlds. Look for live stream video on Gifts of Art Facebook. For this workshop, Gifts of Art Bedside Artists Elaine Reed and Jessica Butts will guide participants in the creation of a handmade accordion journal book. Using materials that are all free of charge, participants will enjoy a hands-on experience to live musical accompaniment, and leave with the materials necessary to complete their personal journal. Guitar virtuoso Jake Reichbart has garnered numerous awards for his performances and recordings. He plays fingerstyle instrumental guitar from various genres and also takes requests. If you have a large group, please call Gifts of Art at 734.936.ARTS (2787), as space is limited for this workshop as part of Grief Awareness Month. Look for live stream video of Jake Reichbart's performance on Gifts of Art Facebook. Travel the world with the singing sounds of Trio Cantabile – performing classical repertoire for flute, clarinet and piano by composers from Argentina, France, Italy and more. The performers have played with Boston Pops, St. Louis Symphony, and Milwaukee Symphony, among others. 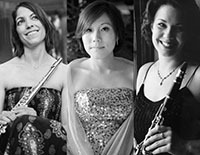 Joanna Goldstein (flute), of Stratus Ensemble, and Michelle Tschirhart (clarinet) played together for many years in the Boston based quintet, Vento Chiaro, where they were on the faculty of the Boston University Tanglewood Institute. Goldstein and Tschirhart are joined by Shuyu Lin on piano. Look for live stream video on Gifts of Art Facebook.